If you are a serious AIR MILES collector and have summer travel plans then you can rack up the miles on your hotel stays! 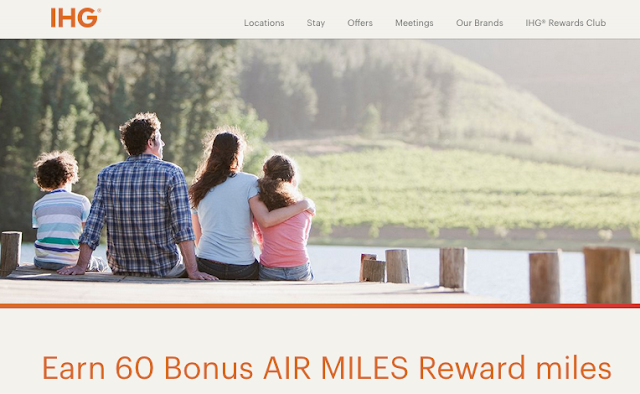 Last week we told you about the AIR MILES Best Western offer and now there is this offer to earn bonus miles at IHG Hotels Worldwide. IHG includes brands like InterContinental, Crowne Plaza, Hotel Indigo, Holiday Inn, Holiday Inn Express, EVEN, Staybridge Suites, Candlewood Suites and HUALUXE® hotels. Find more AIR MILES Rewards Miles bonus offers here!